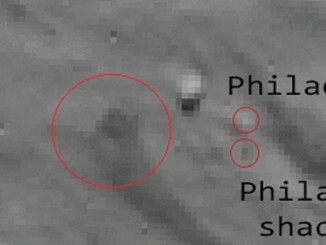 A stunning sequence of images from Rosetta’s narrow-angle OSIRIS camera shows the dramatic journey of the Philae lander as it approaches and bounces on Comet 67P/Churyumov–Gerasimenko on 12th November 2014. 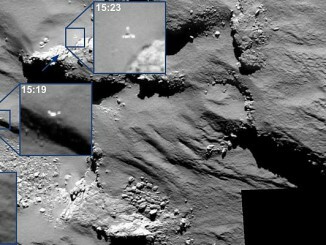 Images recorded by Rosetta’s navigation camera appear to show the lander, its shadow and the dust cloud kicked up by its first touchdown. 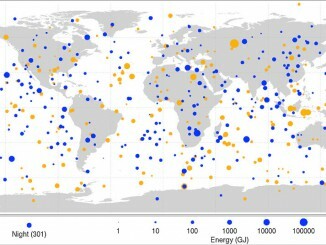 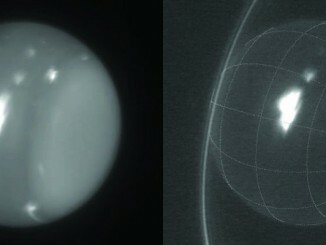 A new map released by NASA shows the distribution and intensity of more than 500 separate day and nighttime bolide (fireball) events recorded by U.S. government sensors in the period 1994-2013. 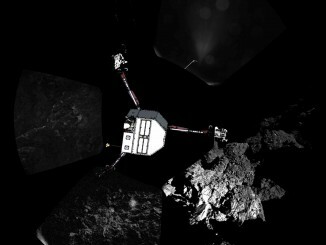 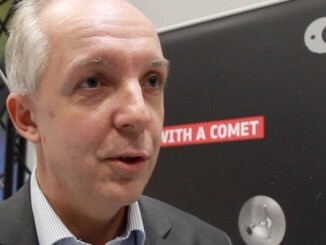 The lander project manager Stephan Ulamec says tremendous science has been collected during Philae’s short time on the surface but battery life is now limited and it is unlikely to last much longer. 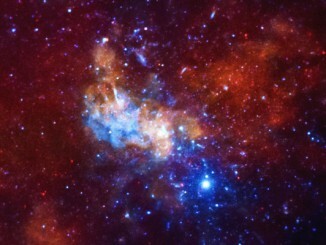 Milky Way’s supermassive black hole a neutrino factory? 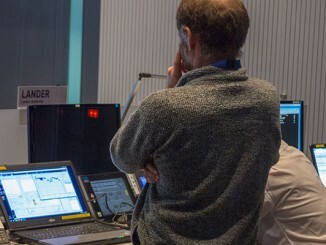 A research team from the University of Wisconsin has correlated data from three NASA satellites and a ground-based neutrino detector to show that Sagittarius A*, the supermassive black hole at the centre of the Milky Way, is most likely a powerful neutrino generator. 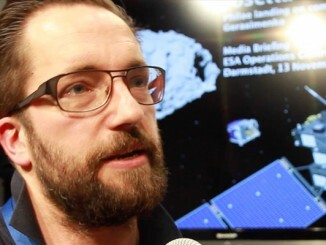 Rosetta mission scientist Matt Taylor says the science team is jubilant after the Philae lander captured the historic, first close up images of the surface of a comet and began returning data from its science instruments. 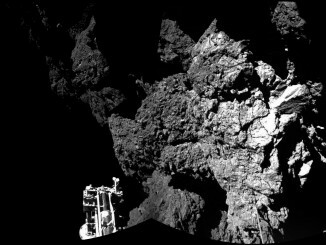 Europe’s Philae lander radioed home Thursday, sending the first picture from the surface of a comet hours after a dramatic descent.